Our latest additional to the All Blacks range. 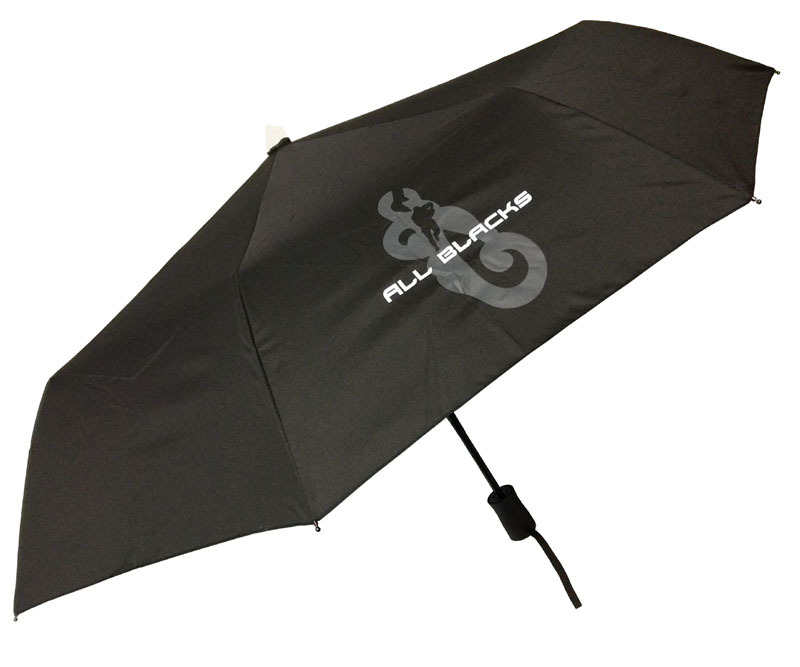 A top quality folding umbrella that you can easily carry or fit in your bag. Auto open and close. All Blacks print on 2 panels, the sleeve and badge on handle. A must for every kiwi!